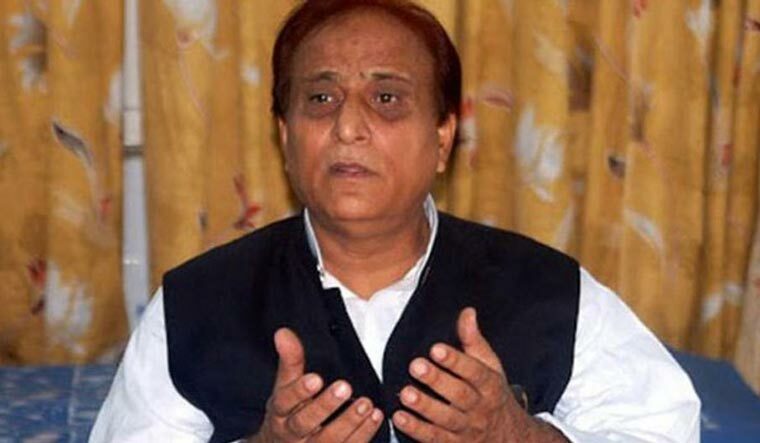 Senior Samajwadi Party leader Azam Khan was slapped Monday with a poll campaign ban, an FIR and a women commission notice for his alleged "khaki underwear" jibe at BJP leader Jaya Prada, while the saffron party mounted a sharp political attack comparing his "disgusting" comments to disrobing of Draupadi in Mahabharata. After examining the remarks made at an election rally on Sunday by Khan, who has often stoked controversies with his speeches, the Election Commission on Monday night imposed a nationwide ban on him from campaigning for 72 hours, beginning Tuesday. Without naming the actor, Khan had told the election rally in Rampur "... You got represented (by her) for 10 years. People of Rampur, people of Uttar Pradesh and people of India, it took you 17 years to understand her reality. But, I could recognize it in 17 days that she wears a khaki underwear." Khan and some other SP leaders sought to suggest that Khan's comments were targeted at Singh, who is considered her mentor in UP politics. What prompted Naveen Patnaik to contest from a second seat? Amar Singh also attacked Khan, calling him "filth and muck" of Indian politics. The former SP leader also alleged Khan of distributing Jaya Prada's morphed pictures during last elections and of launching a vicious propaganda against him and the actor-politician.